If you are an advanced user and want to be more specific about your video format, bitrate, codec type etc., use Handbrake. It is a great tool that you can download and install for free on Windows & Mac. 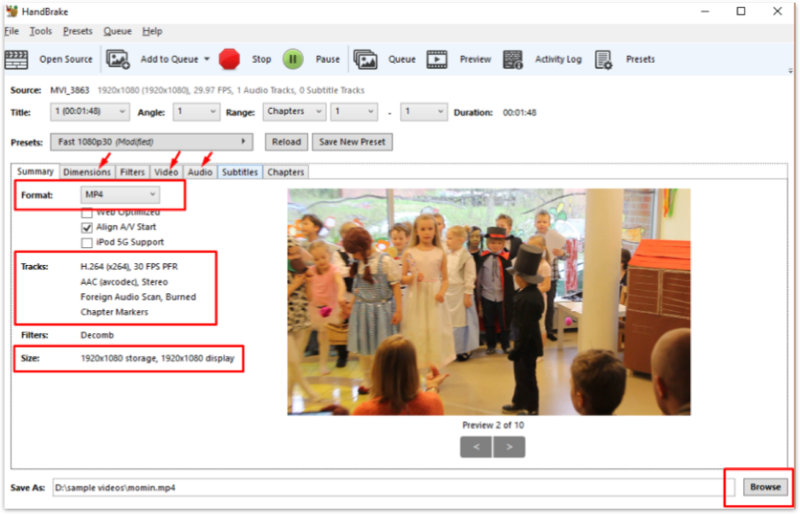 With Handbrake you have more control over your video settings and you can set very specific values for different video attributes. 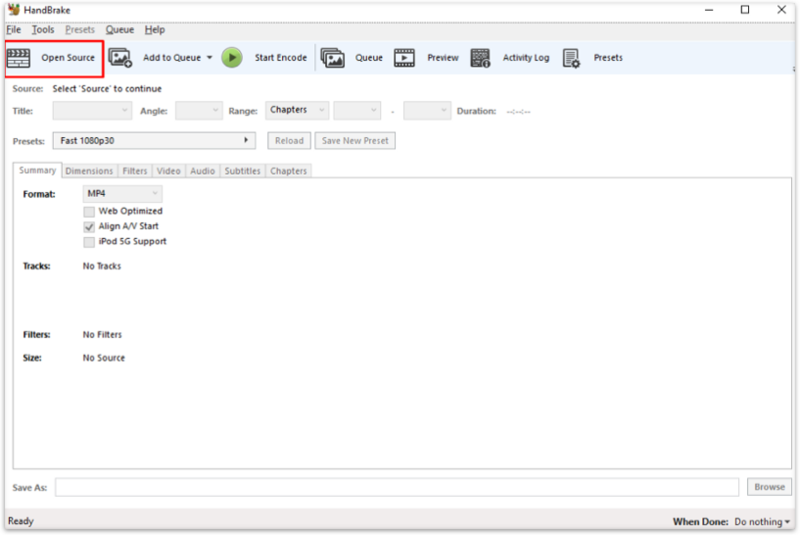 Open your video file in Handbrake. Choose Format MP4 or MKV. The output video attributes and size are visible in the summary tab. If you wish, you can change them by clicking the dimensions, video and audio tabs. If you are converting the video only for streaming purpose, you can leave all the settings as default except video bitrate. Click Browse at the bottom and select your output folder. 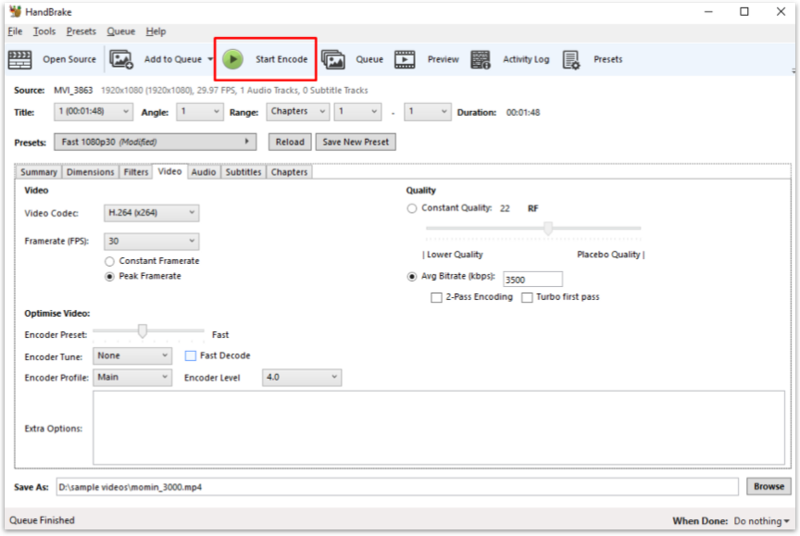 Click Video tab and make sure Video Codec is H.264 (x264). 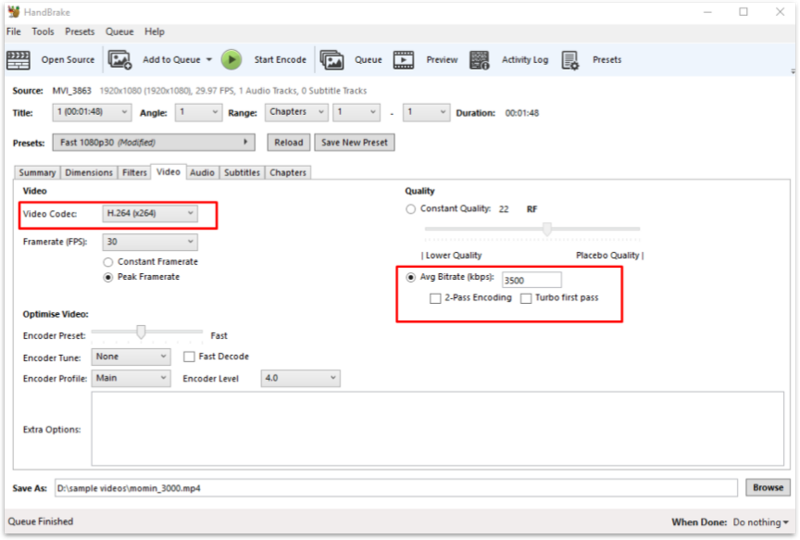 Select Avg Bitrate (kbps) and enter a value of 3500. Click the Start button and wait until the video encoding is completed. Handbrake will let you know when it has finished. You will notice Queue Finished at the bottom.